It is recommended that one studies in total silence, however, I often find myself in a position (whilst studying with everything mute around me) in total distraction. I am just not able to focus on my work. Therefore I have been searching for music that can help improve my concentration and therefore result in an increase in my work quality. I learned throughout my research process, that it is music with no lyrics that contributes to optimal focus. Because when you hear music with lyrics - or I do - often find myself getting dazed into the song, and I will find myself getting really into the lyrics, and I start to imagine myself in the video scenario and before you know it, I have been doing this for about 20 minutes, and I have wasted really precious study time. Video games. 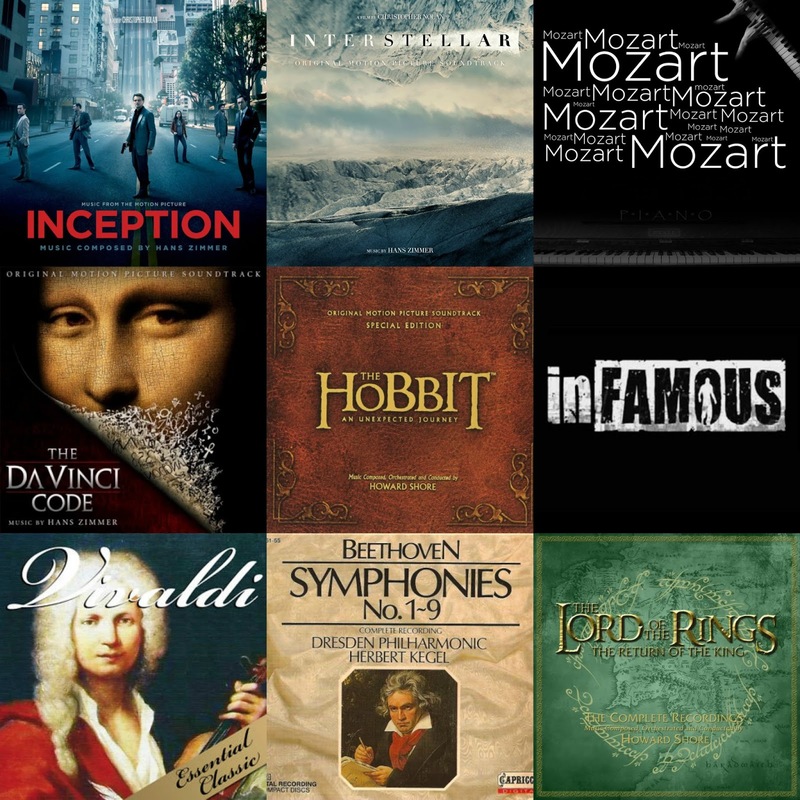 Soundtracks made for the purpose of videogames often work really well for studying. This is because the composers put together the music so that it can help you concentrate on the game. For example the soundtrack for infamous composed by James Dooley works great for studying. Real instruments. Try to go for music that is made based of real instruments, for example try to avoid "computer made" music such as house music or bass. And let it be known that some of these have worked together for many things and created even more amazing stuff!